This Sunday clowns will mark the 67th clowns church service in East London. Traditionally the first Sunday in February clowns gather to celebrate the life of father of clowns, Pantomime clown Joseph Grimaldi & remember those loved clown performers who have past. 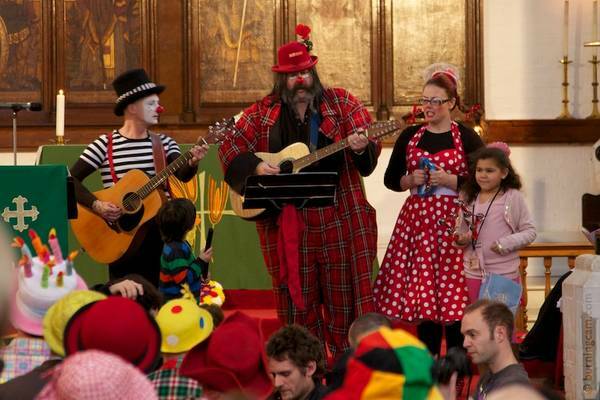 Here is last years news coverage to see….. Our clown Rev Roly bain will lead service & each year after the service there is a free family clown show for the local children. Click here for all the details.